From 1999–2000, the Housing Authority of Utah County developed Carillon Court in Orem. Carillon Court has sixteen ground-level, handicap-accessible apartments in four-plexes for senior citizens over the age of 62. The Housing Authority had accumulated several contiguous lots with very old, dilapidated homes. We removed the asbestos from these homes and dismantled or moved the existing structures. Carillon Court has significantly improved the appearance of the local area with attractive landscaping and modern, well-maintained structures. Close to shopping, community resources and transportation, Carillon Court is home to mature individuals or couples able to live independently. A number of amenities provide the comfort and convenience these persons need including washer/dryer hook-ups and central air conditioning. 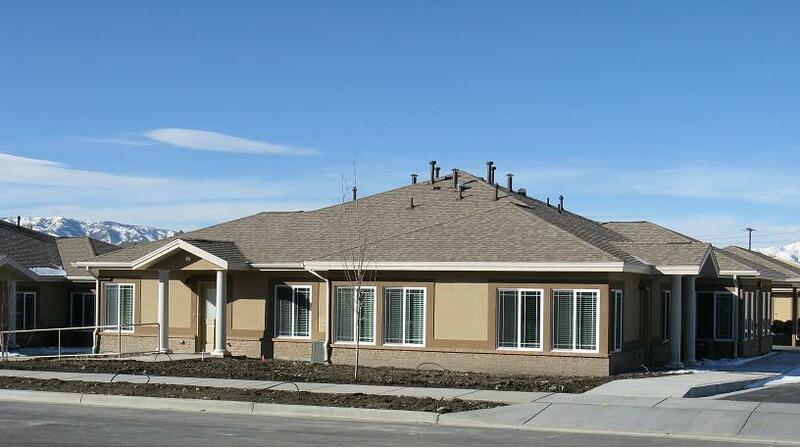 Opened in February 2011, this beautiful new development located near downtown American Fork, consists of twelve ground-level, handicap-accessible apartments in four-plexes. These apartments will provide a comfortable home for senior citizens over the age of 62. Amenities include central air conditioning and heating, refrigerator, range, microwave, dishwasher, washer and dryer. If you are interested in applying for Senior Housing you can complete the application below and return it to our offices.